There is no official way to download the ISO image of Office 365 to install multiple Windows computers. Let's check it out how to tweak the online installer to get the offline one. Due to some problems, yesterday I installed a clean version of Windows. The first software I need as a blogger is Microsoft Office. I have an active subscription of Office 365, but it comes with an online installation. If you have a slow Internet connection like mine, then you can’t afford the online installation process. That’s why I always prefer Office 365 offline installer or ISO image files. There is no official way to get Microsoft Office 365 standalone installer. You can download Office 2016 ISO, and you’ll get the Office 365 as an option in that, but the file size is more than 4 GB. If you install 365 through the online installer, it’ll not be more than 2 GB. The 32-bit version is around 1.7 GB, and the 64-bit is 1.9 GB. Then why should you download the extra GBs? How Office 365 Different from Other Office Versions? 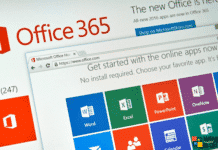 The Office 365 is a subscription-based application to access Office applications (Word, Excel, PowerPoint, OneNote, Outlook, Publisher, and Access) as well as productivity services over the Internet. There is two type of plans for Home and Business users. You can subscribe to any of these two plans on a monthly or yearly basis. Once you subscribe, you need an Internet connection to install the package and it can be used up to 5 devices for Home plans and up to 300 users for Business plans. 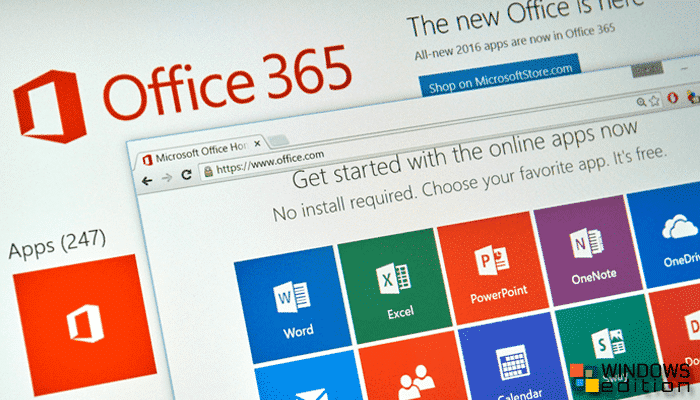 Why Download Office 365 Offline Installer? The answer is very simple. If you have five computers and you want to install Office 365 in all of them, then it’ll take at least 10GB of data, and the most important thing is the time. If you are one of them who live under strict bandwidth limitations should look for Office 365 offline installer download. The offline is very handy, if you have purchased the Personal plan. Once you have downloaded the offline ISO or installer, you can install it as many times you want, but at most in 5 PCs. Well, without taking more time, let’s come to the download process. Luckily, there is a legal way to download the Office 365 image file. All of the images are more than 4GB. But, once you have downloaded, you can use them on any computer. But, of course, you need a subscription plan. Choose any of the ISO/IMG image links according to your plan and enjoy the offline installation. These images are in IMG format. If you want, then you can easily convert them into ISO images. 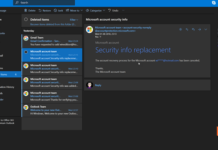 These all are official links from Microsoft, so, you don’t need to worry about virus or any malware. The procedure is a little bit tricky, but I am here to help you regarding this. I have tested this on my Windows computer and it’s working fine. If you have a fast Internet connection, then it would be better for you. So, to make that simple here I have used a Google’s RDP. In order to begin the process, you need Office 2016 Deployment Tool. You can download it here. 1. Create a folder in C drive as “Office365” or you can give it another name in your choice. You can change the bolded red lines according to your preference. SourcePath: Where the files you want to save. 4. Once everything is done, open command prompt and run the below command to begin the downloading process. 5. The download will begin, and a new subfolder “Office” will automatically be created in the C:\Office365 folder. 6. Once the file has downloaded, run the below command to start the installation process. That’s it. This is the only way to download Office 365 Offline installer to install in multiple PCs. If you have any doubt or issue regarding the process, then feel free to comment below. I’ll try to solve all o0f your queries. If you like the tutorial, then don’t forget to share with your friends. Do I need to edit that text if I only install it in 1 PC or in my laptop? If you need it only in one PC, you can use the online downloader. If you want to save it for further use, then you have to edit the text according to your version.